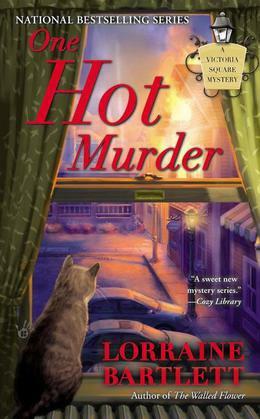 One Hot Murder is the third book in the charming Victoria Square mystery series by Lorraine Bartlett, but in the interest of full disclosure, despite the adorable cover, this is not a cat-themed book. 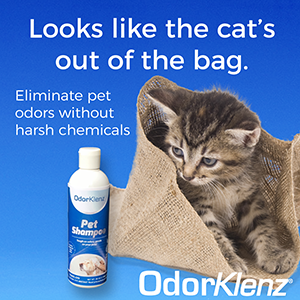 The protagonist, Katie Bonner, shares her apartment with two cats, and they’re mentioned briefly here and there in the book. I will admit that the cute cover reeled me in at the bookstore, and despite the lack of cats in this book, I loved it, and wanted to share it with you. Additionally, I’m a big fan of Lorraine Bartlett, who, writing under the name Lorna Barrett, is also the author of the Booktown Mystery series, featuring Miss Marple the bookstore cat. Lorraine Bartlett always delivers. A likeable heroine, an interesting setting with a wondeful sense of place, and a fast moving plot that keeps you guessing makes this book a highly entertaining read. And while I wished the two cats would make more than just cameo appearances, they still added to my enjoyment of this delightful mystery. Fans of cozy mysteries will enjoy this book, and if you’ve never read any of Lorraine Bartlett/Lorna Barrett’s mysteries, this one will definitely get you hooked on this prolific author’s unique voice. I received a review copy from the author. Receiving the complimentary copy did not influence my review. oh, and I forgot,, thanks for the heads up on another great book to look for….